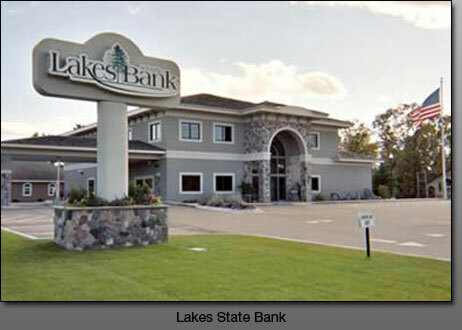 Lakes State Bank in Pequot Lakes, Minnesota was a new three story (including full basement), 15,000 square feet banking facility. This building houses employee spaces, storage and future expansion space in the basement; lobby, teller line and offices on the main level and offices and a boardroom on the upper level. This facility also has a four-lane drive-thru bank. This project was completed in 2005.